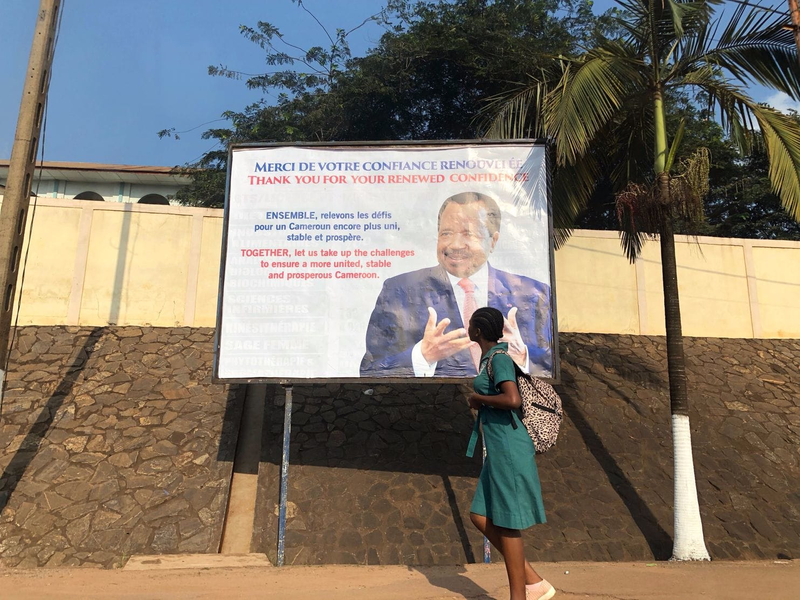 The United States is scaling back its security assistance to Cameroon following credible allegations that the Cameroonian military carried out human rights violations in the Central African country, the State Department said Wednesday. Cameroon is a key U.S. security partner, and about 300 U.S. troops are based there to train and assist the Cameroonian military, including in its fight against extremism in its far northern region. Human rights groups have reported that Cameroonian security forces have targeted civilians, in the far north and in the country’s unstable southwest and northwest regions, where the military is battling English-speaking separatists fighting to create a breakaway nation called Ambazonia. “We emphasize that it is in Cameroon’s interest to show greater transparency in investigating credible allegations of gross violations of human rights security forces, particularly in the Northwest, Southwest, and Far North Regions,” the State Department said through a spokesman via email Wednesday. Security cuts will include the “provision of four defender boats and nine armored vehicles, and the upgrade of a Cessna aircraft belonging to the Rapid Intervention Battalion,” or BIR, the department said. Members of the BIR, an elite force that has received assistance from the United States, have been accused of a wide range of human rights abuses. The Washington Post reported this week that English speakers from Cameroon’s two Anglophone regions said members of the BIR burned down civilians’ homes and executed a pregnant woman. The Cameroonian military denied targeting civilians. The U.S. aid cuts also include the withdrawal of a U.S. offer for Cameroon’s candidacy in the State Partnership Program, which pairs American states’ National Guards with another country’s armed forces, delivery of certain equipment and helicopter training. Washington “will not shirk from reducing assistance further if evolving conditions require it,” the State Department said. In August, the Cameroonian government claimed it had arrested soldiers in connection with one video and launched an investigation of the other. This article was written by Siobhán O’Grady from The Washington Post and was legally licensed through the NewsCred publisher network. Please direct all licensing questions to legal@newscred.com.